MCLEAN, Va.--(BUSINESS WIRE)--This year, thousands of African-Americans will attend family reunions – and two Hilton Worldwide all-suite hotel brands are offering specialized tools and services to eagerly welcome them. These joyous events attract anywhere from 100 to 400 family members looking to reconnect and have a great time. According to a recent article published by Black Meetings & Tourism, several studies suggest an estimated 90 percent of all family reunions are held by African-Americans. Hilton HHonors, the free, award-winning guest-loyalty program for Hilton Worldwide’s distinct hotel brands. Members can use points to purchase unique experiences, rewards, merchandise and vacation packages, make charitable contributions and more. To help inspire African-American families to connect and celebrate, Embassy Suites Hotels and Homewood Suites by Hilton are partnering with “The Tom Joyner Morning Show” Meet Ev’ry Listener Tour, with the hotel brands hosting several tour stops for the nationwide live radio show. The tour stops in 45 major cities across the country. For additional information or to book your family reunion, please visit hiltonfamilyreunions.com. Embassy Suites Hotels, one of Hilton Worldwide’s twelve market-leading brands, is dedicated to delivering what matters most to travelers. The full service, upscale brand offers every guest a two-room suite, free cooked-to-order breakfast and a nightly two-hour reception with complimentary drinks* and snacks. Both leisure and business travelers looking for a relaxed, yet sophisticated, experience will feel right at home with brand-standard amenities like inviting atriums and complimentary 24-hour business and fitness centers. 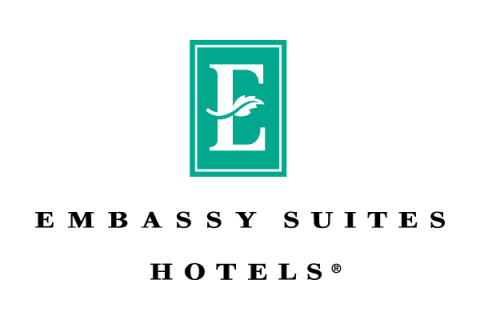 Embassy Suites Hotels has 219 hotels with 40 in the pipeline. For more information, visit www.embassysuites.com, and connect with Embassy Suites at news.embassysuites.com, www.facebook.com/embassysuiteshotels and www.twitter.com/EmbassySuites. 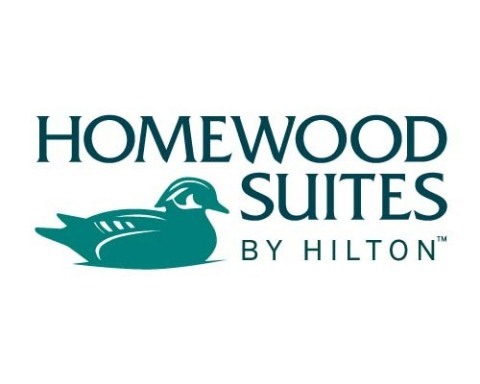 Homewood Suites by Hilton, Hilton Worldwide’s upscale, all-suite, extended-stay hotel brand with more than 360 locations in the United States, Mexico and Canada, is an award-winning leader that has been named “Top Upscale Extended-Stay” hotel by J.D. Power the last five years. The first choice for guests seeking comfortable accommodations when traveling for an extended or quick overnight stay, Homewood Suites offers inviting, generous suites, featuring separate living and sleeping areas, and fully-equipped kitchens with full-size refrigerators. Additional value-driven essentials include: complimentary Internet, a daily full-hot breakfast and complimentary evening social every Monday-Thursday. With Hilton’s award-winning digital check-in with room selection tool, Hilton HHonors members can log into their accounts and choose their exact room from a digital floor plan, as well as customize their room prior to arrival with amenity requests. The service is available for 650,000+ rooms at more than 4,100 properties across 11 brands worldwide. Homewood Suites is focused on guest satisfaction and stands behind each stay with its 100% Suite Assurance® guarantee. For more information on the extended-stay advantage, visit www.homewoodsuites.com or news.homewoodsuites.com. Hilton Worldwide (NYSE: HLT) is a leading global hospitality company, spanning the lodging sector from luxury and full-service hotels and resorts to extended-stay suites and focused-service hotels. For 95 years, Hilton Worldwide has been dedicated to continuing its tradition of providing exceptional guest experiences. The company's portfolio of twelve world-class global brands is comprised of more than 4,350 managed, franchised, owned and leased hotels and timeshare properties, with more than 720,000 rooms in 94 countries and territories, including Hilton Hotels & Resorts, Waldorf Astoria Hotels & Resorts, Conrad Hotels & Resorts, Canopy by Hilton, Curio - A Collection by Hilton, DoubleTree by Hilton, Embassy Suites Hotels, Hilton Garden Inn, Hampton Hotels, Homewood Suites by Hilton, Home2 Suites by Hilton and Hilton Grand Vacations. The company also manages an award-winning customer loyalty program, Hilton HHonors®. Visit news.hiltonworldwide.com for more information and connect with Hilton Worldwide at facebook.com/hiltonworldwide, twitter.com/hiltonworldwide, youtube.com/hiltonworldwide, flickr.com/hiltonworldwide, and linkedin.com/company/hilton-worldwide.